Comhghairdeas to our U10 Hurlers who collected their first silverware of the year by winning the Division 2 Final of the North Antrim League on Sunday. Thanks to all Coaches involved and Parents for their continued support. Training continues Wednesday 6.30-7.30pm at Healy Park. Our U8s got their season off to a great Start in Omagh last Saturday with an magnificent display of Hurling, for many of these lads its their first experience in competitive Hurling. It served as a great warm-up to the North Antrim League which begins on Saturday in Ballymena and Swatragh. Parents will receive further information on Teams and Venues from the U8 coaches. 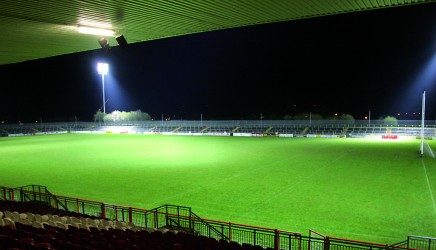 Training continues every Monday, 6.30-7.30pm at Healy Park. Hard Luck to our U21’s as they lost out to a strong Errigal Ciaran side on Saturday Evening. Comhghairdeas Eva Ni Dhoibilin and Aoife Duddy who have both been selected for Tyrone U15 Ladies, well deserved girls. Well done to Club Players Senan Doyle, Ryan Lafferty, Caolan Lloyd, Ollie Daly, Cathal Cunningham and Malachy Leonard who represented St. Ronan’s Recarson last Wednesday and where crowned Tyrone Indoor Hurling Champions 2019. They will now represent Tyrone in the Ulster Competition in April. Good luck to our Scór teams as the Scór season kicks off again this week. First Rounds begin Friday 1st February at 7pm St. Patrick’s Hall Drumquin and Sunday 3rd February , 6pm at St. Joseph’s Hall, Moy. This years Annual Presentation Night and Dinner will be on Saturday 16th February 2019 at St. Enda’s Clubrooms, more detail to follow. Our highly popular Gaelic Start and Gaelic Academy will be returning on Saturday 2nd February 10:00-11.15 at Healy Park (Main Hall & Ball Wall). Anyone who wishes to participate in the quiz team this year is encouraged to contact David Tierney on 07742 242 072. The Lotto results for Thursday 17th Jan where 8-11-15-17-19, No Jackpot Winner. Coming to Omagh St. Enda’s GAA 23rd August 2019!!! Line up will be announced soon!! Friends of Sinead are hosting a Health & Wellbeing Morning in the Clubrooms on Saturday 9th February at 10.00am. There will be free health screening to the general public, Blood Pressure, BMI, Cholesterol and Hearing tests.